I’m still getting my feet back on the ground after last week’s high impact AI-DAY 2019 conference held in Auckland. Five hundred people gathered from all across New Zealand’s AI community to discuss important issues of how AI affects our society and businesses. We also had the opportunity to geek out with demos of some of the latest AI technology in action! The conference heard top quality presentations and panel discussions from 33 local and international speakers including Sean Gourley, Dave Heiner, Venky Veeraraghavan, Brandon Hutcheson, Adam Cutler, Xie Fei and Wang Wei (presenting via live AI driven translation), Jingyi Yu, Te Aroha Grace, Anchali Anandanayagam, Kallol Dutta and many others. One of the conference highlights was the closing panel discussion on how AI technology can help create safer societies (pictured above). In light of the Christchurch tragedy only two weeks prior, this was a deeply relevant conversation to have in New Zealand right now. The panelists delved deeply into the new challenges and risks associated with ubiquitous social media, AI driven deepfake technology and autonomous weapons. They also considered more hopeful aspects of how AI can help with improving lives as well in everyday health and safety scenarios and removing bias from decision making systems. The panel finished with a call for more regulation of social media giants and reinvestment in journalism to provide the trusted media needed to support democracy in future. Photos and videos from the event will be online soon, so if you didn’t manage to attend AI-DAY this year (and even if you did!) I encourage you to explore the high quality presentations and discussions from this year’s event. There were also plenty of tweets on the day, so check out #AIDAY19. Meanwhile, this year’s AI-DAY programme continues this week on Wednesday and Thursday with the AI-DAY workshop series. Learn best practice and deep dive into the tools and platforms used to create and develop AI systems. These workshops are nearly sold out, register quick to get one of the few spaces remaining. Also this weekend, we’re looking forward to the AI for Good Hackfest presented by Aware Group and AI-DAY, supported by Microsoft. Again only a few spaces left, so register now! Event producer Justin Flitter and I would like to thank all of our AI-DAY attendees, speakers, panelists and our fantastic event partners Microsoft, Aware Group, Spark, AUT, Jade, Data Insight, FaceMe, IBM, Asia New Zealand Foundation and NZTE. Without your support the event wouldn’t be possible. In other news, it was a privilege to meet Microsoft President and Chief Legal Officer Brad Smith when he visited New Zealand recently. Brad is a leading thinker on how tech shapes our future global society and in this article he reflects on his visit to New Zealand so soon after the Christchurch tragedy: A tragedy that calls for more than words: The need for the tech sector to learn and act after events in New Zealand. Following 15/3, Google has been in the spotlight, particularly as the owner of YouTube. As I understand, AI played a significant role in Google’s response to detect and rapidly remove thousands of re-uploads of (parts of) the offending video. Last week Google announced an Advanced Technology External Advisory Council (ATEAC) which will complement their internal AI governance structures and provide a diverse set of external perspectives to inform ongoing AI work. This will include complex challenges like facial recognition and fairness in machine learning. While the US has been a late mover to provide national coordination of AI investment, it is now clearly taking steps to leverage its significant private sector leadership position. Take a read, there is much here which can be translated to our smaller country context. This week I will be speaking on AI at the MobileTECH AgriTech conference in Rotorua. I look forward to connecting with members of the primary sector technology community there. For the record, I’ll be talking about artificial *intelligence* and not any other kind of AI! Attend the AI-DAYworkshop series this week in Auckland. You will learn best practice and deep dive into the tools and platforms used to create and develop AI systems. An AI-DAY Workshop series pass is just $245 for AI Forum members ($50 discount applied). 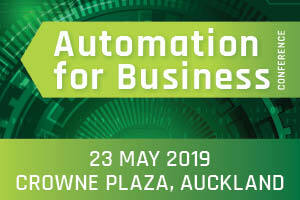 Attend Automation for Business on 23 May in Auckland. Discussion includes intelligent automation to streamline processes, increase productivity and improve profitability. Please email us for the AI Forum 15% discount code. Also this week, attend MobileTECH 2019 3-4 April in Rotorua. Join Intelligent Transport Systems New Zealand’s (ITSNZ) T-Tech19 conference, 6-7 April in Christchurch. The annual Great AI debate is 9 May in Auckland. Attend the 2019 IEEE Congress on Evolutionary Computation, 10-13 June in Wellington. Registrations are now open. In local news, the Hutt Valley District Health Board (DHB) has deployed robotic processing automation (RPA) to reduce manual processing of patient referrals. This will save the DHB thousands of hours per year. Following successful trials in Wellington and Auckland schools, AI maths tutor Amy, has now been rolled out. Amy is designed to help schools improve student achievement standards in mathematics. The United Kingdom (UK) Government is investigating AI bias in decision making. Stanford University has launched the Institute for Human-Centered Artificial Intelligence (Stanford HAI). Applications for HAI fellowships close 15 April. Following last year’s announcement of Google’s AI Principles, an external ethics advisory council has been established. The Partnership on AI (PAI) with Intel, have compiled a curated list of AI Ethics Toolkits, with the goal of centralising available tools. Don’t forget to contribute to the PAI’s project, Positive Futures from AI. Applications remain open for the PAI Fellowship Program. The Vatican recently hosted Roboethics: Humans, Machines and Health. Read more about how Pope Francis could shape the future of robotics! Meanwhile, learn how drones and satellite images are measuring the forests used for carbon offsets. The London Tech Week flagship event The AI Summit is 12-13 June. Attend the American Psychological Association’s (APA) conference, Technology, Mind & Society, 3-5 October in Washington D.C. Join scientists, policy makers and industry leaders to explore the latest discoveries at the intersection of behaviour and technology. The UK’s NESTA recently interviewed women shaping AI. The findings highlight the need to elevate role models, build advocates and overhaul the image of AI. Read more here. Stateside, following the executive order and the announcement of the American AI Initiative, the White House has launched a digital AI hub. 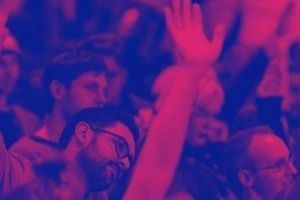 Attend Techweek19’s official launch event on 20 May in Auckland. Or join the live webcast and hear from leaders in the CleanTech and CreativeTech sectors. Attend three AI Debates on Automation, Education and Employment at Victoria University of Wellington. Join AI Forum’s Ben Reid on 22 May for Techweek TV’s webcast panel discussion, How do we protect privacy and personal data? Join Professor Rangi Matamua for Ko Matariki e ārau ana, The Gathering of Matariki, an event series throughout New Zealand and Australia from 11 April. Join EdTechNZ and TechWomen on 13 June in Wellington, 20 June in Auckland and 26 June in Christchurch to discuss how to achieve diversity in the tech sector. Registrations opening soon. Submissions for the Call for Code 2019 Challenge close 29 April. Submissions on the Copyright Act Review close 5 April and final event submissions for Techweek19 close 8 April. Congratulations to the 2019 Hi-Tech Awards finalists including the Cacophony Project and AI Forum members FaceMe, Sharesies and Xero. Secure your tickets to the Gala Dinner on 24 May in Auckland. If you have a content suggestion for our knowledge hub, please let us know. If you read an interesting social media post, please don’t forget to tag @AIForumNZ and we can share it. Be part of Scale-Up New Zealand, a free online platform for New Zealand’s innovation ecosystem. Everything you need to know is here.